Good, Fast, or Cheap Internet? When looking for an internet connection, what are the most important factors for your business? As the saying goes, "You can't have your cake and eat it too." 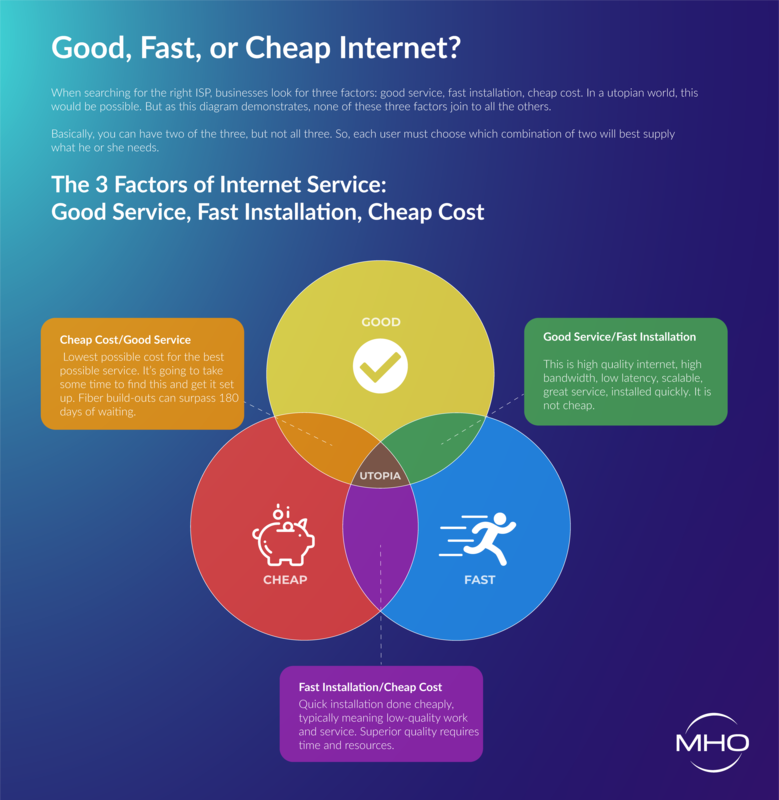 If you're looking for a good and fast Internet connection for your business, get connected with MHO's Enterprise service. Get in touch with a MHO team member today ! What's currently happening in the industry. Informative content that you can share with colleagues! MHO Networks is a Denver-based Data Solutions provider offering high-speed data services.